Kailash Mansarovar Yatra is known to be one of the most popular sacred pilgrimages amid the followers of Lord Shiva. 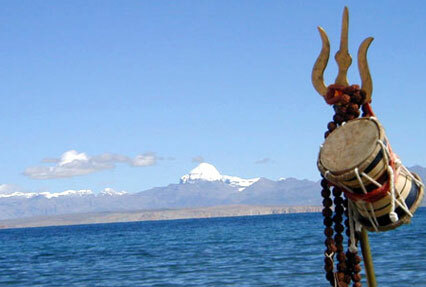 Mount Kailash is highly revered as it is believed that Lord Shiva resided on Mount Kailash, and used to meditate here. 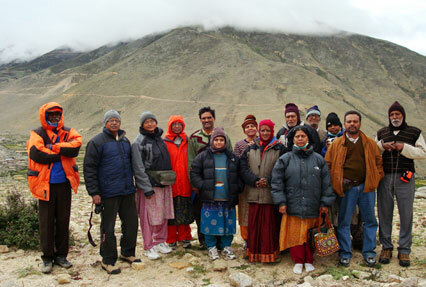 Every year a huge number of Lord’s devotees embark on this challenging Yatra. Opt for our well-planned 9-day Mt. 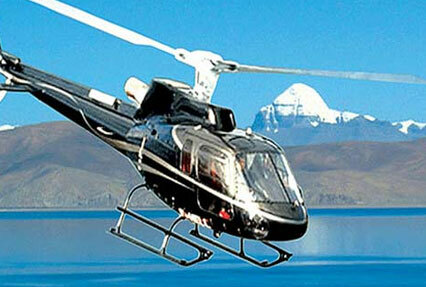 Kailash Yatra by Helicopter to embark on this pilgrimage without any hassles. This Yatra, which starts and ends in Nepalgunj, is a wonderful blend scenic views and pure spiritual bliss. Some of the highlights of this tour are treks to Zuthulphuk across Dolma La Pass and Puja at the Mansarovar Lake. Breathtaking views during helicopter ride. Dip in the holy waters of Mansarovar Lake. Walk over the high-altitude Dolma La Pass. Visit to the holy Mani walls. Morning arrival in Nepalgunj. Meet our tour representative who helps you with an assisted transfer to the hotel. Complete the check-in formalities. The day is at leisure. Nepalgunj is the western border town of Nepal. This beautiful town is known for its exciting treks. Spend the day in exploring the place on your own. Go on-board the morning flight to Simikot (3000 m) by fixed wing. Then fly to Hilsa (3700 m) by Helicopter. Thereafter, cross the border by road and drive to Purang (3800 m). On the way, savor the stunning views of the mesmerizing scenery. Road journey is of around an hour. Check into the hotel. Day 3 is scheduled for acclimatization in Purang. Also known as Taklakot or Burang, Purang is a holy city in Tibet that also boasts of serene and lush ambiance. Spend the day as per your liking. You can simply relax or explore the place on your own. But it is better to relax today and get ready for the Yatra. Today, start your road journey for the highly revered Mansarovar Lake, lying at an altitude of 4500 m. This drive is going to be of around 3 hours. This freshwater lake in Tibet holds a lot of religious significance for the followers of Hinduism, Buddhism and Jainism. Snow-clad peaks in the surroundings look mesmerizing. As you reach, take a holy dip in the pure waters to wash away all your sins. Later, perform puja. You can also perform circumambulation of the Lake. After all the rituals, head to the guesthouse. On the 5th day of the tour, get transferred to Yamadwar by road. This drive is of around 2 hours. Later on, get ready for a walk to Diraphuk (4760 m). This walk is of 7 – 8 hours. On the way, treat your eyes to the stunning views of the surroundings. Adore the peace sprinkled all around you. Arrival in Diraphuk and check-in formalities at the guesthouse. The day is scheduled for exciting trek to Zuthulphuk. This is a 10 – 12 hour trek. Start your trek in the morning. Walk over Dolma La Pass (5650 m). Evening arrival in Zuthulphuk. Check into the guesthouse and relax. In the morning, start the trek to Mani walls (3 – 4 hours). These stone walls are highly revered and comprise of stone pebbles, plates and rocks. These rocks contain holy inscriptions of Buddhism. It is believed that this sacred Yatra gets completed, once you touch these inscriptions and pay homage to them. 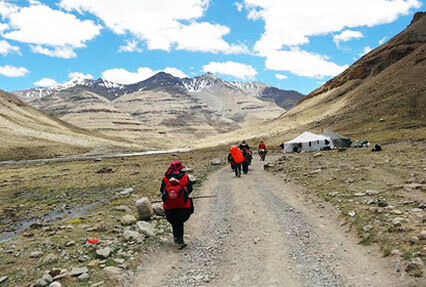 Later on, embark on a road journey of around 3 hours to arrive in Darchen. Check into a guesthouse. Today, in the morning, start driving towards Hilsa via Purang. On the way, savor wonderful views. Let the cool breeze brush past your face. On arriving in Hilsa, check-in at a guesthouse. On the last day of the tour, fly to Simikot and then arrive in Nepalgunj. From here, get an assisted transfer to the airport to board the flight back to your home.